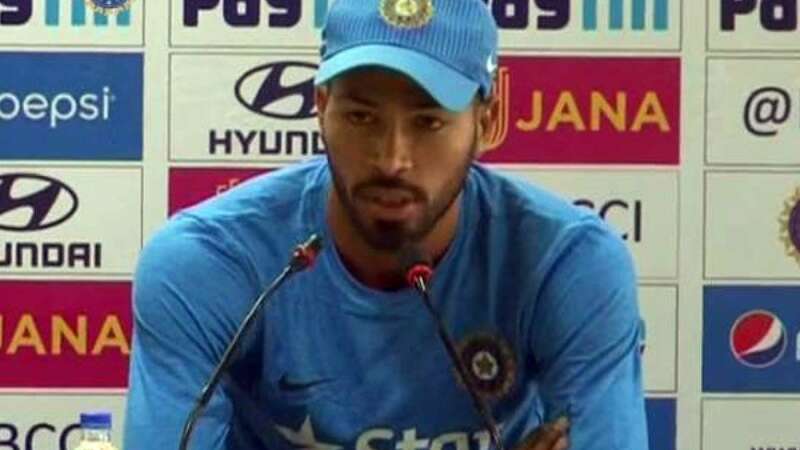 New Delhi : Everyone has someone as his inspiration to keep himself motivated, for Indian Cricket team player Hardik Pandya there are two. As he has shown his growing performance under the stressed situation, he claims that he takes inspiration from none other than his teammates Mahendra Singh Dhoni and Virat Kohli. "There's a lot to learn when both (Kohli and Dhoni) of them bat. Their batting, running between wickets inspire us. It's at another level. It's fun to watch them bat together," Pandya said on the eve of the fourth ODI of the five-match series against New Zealand. The comments came in regards to the amazing 151-run partnership stitched by Dhoni (80) and Kohli (154) against New Zealand during the third ODI in Mohali. He also spoke about Dhoni taking promotion to No.4 spot in the batting order. "It shows positive intent. I enjoyed his (Dhoni) batting. As batsman, it is our job that whatever number I bat at, we should play according to that situation. It's a job for everyone. It gives us confidence for someone who bats lower down the order. It's pretty good," he added. Pandya had played brilliant during the second ODI and had almost snatched victory from New Zealand. India is leading 2-1 in the series and will be looking forward to extend it to 4-1.